There are some simple, easy measures you can put in place to evaluate your PR activity and I will outline them below. But first a philosophical question you might ask. ‘Does measurement kill creativity in PR?’ Having just read ‘The Tyranny of Metrics’ by Jerry Z. Muller, I’m tempted to say yes. We work for many organisations in the education sector and are lucky to work for one school which, through teaching the International Baccalaureate Programme, specifically sets out to foster a curious mind and creativity, among other qualities, in addition to the basic 3 R’s among its students. So I know that with the right approach, creativity and measurement can sit comfortably together – in other words, measurement need not kill creativity. At Twelve we are absolutely wedded to the importance of creativity in PR – after all, the ‘Twelve ideas’ concept, where a new, good idea is presented every month to our clients, is a core part of our service offer. I don’t see any conflict between creativity and measurement, in fact I think creativity without measurement is pure vanity. Our business as a PR agency is to help other businesses and organisations thrive, and there are always tangible ways to measure this. A brilliant creative idea needs to do something, for example increase footfall, achieve sales, build a new business pipeline and so on. Tips on how to set up a useful PR measurement report. Requires no more than 10 per cent of your own or your agency’s time or budget to produce. Can be understood and appreciated at a glance. Can be repeated each month or at regular intervals, such as after each campaign. Measure activities, but make sure you have more information on outcomes. Keep a record of what your PR agency is doing for you. Ultimately you don’t want a long list of activities, because what really matters to you are the outcomes. However, depending on what your agency has been tasked to do, a summary each month is a useful record. For example, if it’s media relations, have a summary or list of stories or news items that have been distributed. You need to know how many have gone out to assess your success rate; to either enjoy it or improve on it. If the agency organised a series of events, list them. Outcomes will, in this case, be attendance related: prospects, face-to-face meetings secured etc. If your agency is creating content, then ensure you have a list of that content, when created and when hosted. But the key thing you need to measure is outcomes. What PR outcomes should you measure? Carefully consider the PESO model from Gina Dietrich, which is an excellent framework, shown below, but don’t use it rigidly. Always aim to find the most simple way to measure what really counts for your business. 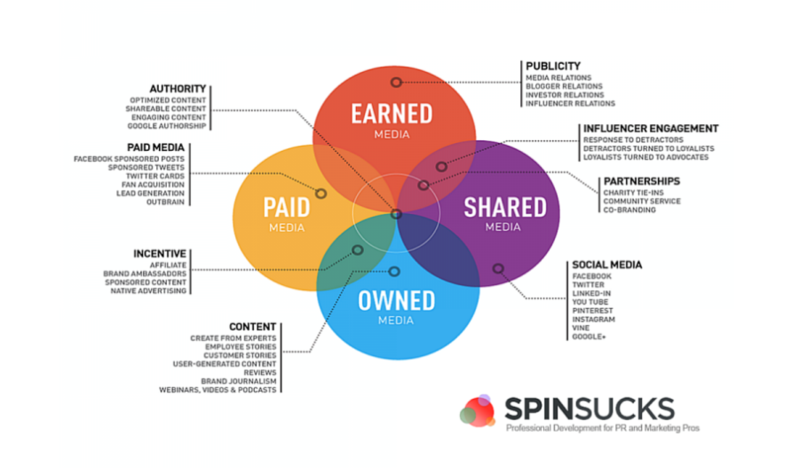 The concept of paid and earned is good, so use this as a basic definition to classify any coverage from media relations. As the number of earned media channels such as national newspapers is diminishing, then achieving a result in them is especially valuable and worth noting. You may have pages and pages of content or copy published somewhere but it is of no value, or worse, damaging, if it is saying the wrong thing. Have some form of assessment of your messages and use the same formula each month. You could drown in data from Google. Cut to the chase. We use a framework devised by our friends at Zanzi called a RACE report. The report is based on answering key questions about the value of your PR activity. How do the ACT when they get there? How well do you ENGAGE with them? How many do you CONVERT? You can see the heading for each element below. The hardest section to complete is the conversion chart, because in an ideal world this will contain your internal sales data. This is the most important measurement of all. If you have set up goals on your website then this should be a key metric in your conversion table. Sometimes we use CONTACT data from e -shots if sales data is hard to track down. Of course you can create any report you want. Instagram for example isn’t shown in the above table but if that’s what you’re using rather than LinkedIn, switch it round or add it in. These are just a few effective ways in which you can set up internal PR measurement systems. There are a host of external systems you can buy such as Kantar Precise for media content or Trackr for measuring Influencer activity. You will almost certainly need to use an external service to capture and collate your media monitoring if you have a significant PR programme in place. A quick Google search will bring up a list of these. If reputation management is a key, specific aspect of your agency’s role, then pre and post measurement of what your reputation actually is will be important. Measuring brand values, corporate reputation, perceptions among stakeholders etc., usually requires a third-party service. If you would like to know which ones we use or would like to achieve PR results that are really worth measuring, give me a call or drop me an email. It’s easy to get swept up in angry righteousness about education issues. And some people of course, say things just to provoke a response. Sajid Javid in the Telegraph ‘Justine Greening has got it wrong. We just need more pushy parents’ (or words to that effect). Both these discuss the subject from the point of view of children (fair enough) or upbringing (fair enough) or the education system (fair enough). The voice which is completely missing from this whole debate is the employer. Who’s actually providing these work experience places? Who finds the kids something to do for their week of work experience? Who fills out the school forms, so they can come, and looks after them when they turn up for work? Who shows them how to hold a pencil?! Is this suddenly coming across a bit ranty? It should do! I’m not alone in my views. Remember we’re talking about school-age students. It is massively time-consuming organising meaningful work experience for school students. I am utterly determined to make it a valuable experience for each and every person who spends time with us, but I can tell you, it can be soul-destroying. I can honestly say that I have had some kids who appear to have a problem holding a pencil. Experiences like that are shattering. For me I mean. How can a child have such poor skills after so many years at school? Is it my job to teach them the very, very basics? We’ve had some work experience school children who were brilliant. Just as an FYI, the best and the worst have been from State school backgrounds. On balance it is just a waste of time for me. How many businesses can afford to keep wasting the time and good will of colleagues every year on work experience students? Actually, I will never stop offering experiences and opportunities for young people of all backgrounds to work in our business, because I believe in helping others. But politicians should stop making lazy remarks about work experience and education. I don’t think it moves things forward. 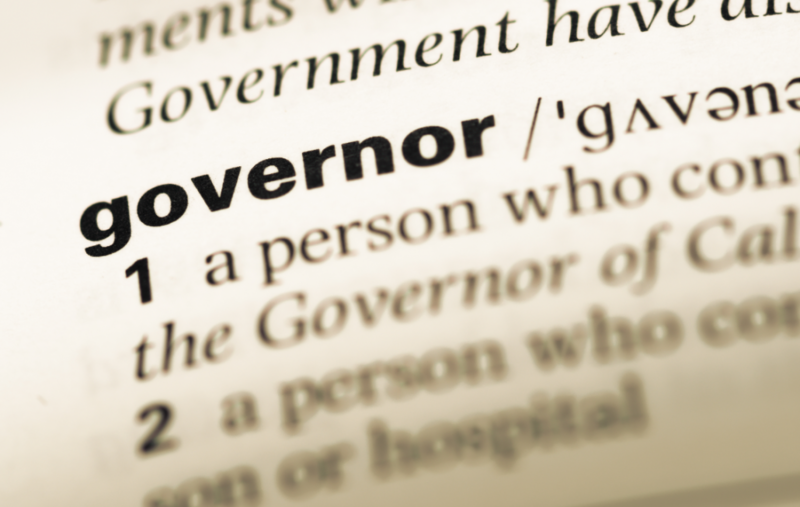 Why would anyone want to be a school governor? It’s 11.30am and I’ve just made it to work, after two and a half hours in school governor related meetings at my local primary school. I was there last night too, from 7.30 – 8.30pm in another governor related meeting. I should be there again in five days time for another meeting of the full governing body which will last from 7.15 – 9.30pm, if it’s a quick one. I feel genuinely sorry that I’ll be missing it. I know I don’t put in half the hours some other governors do, and nothing compared to our Chairman. How could these meetings, and the preparation required beforehand, possibly be worthwhile, when the work is piling up in my proper job, I run my own business and have to take care our own clients and staff before anything else? For the first three years I sat in meetings feeling alternately bewildered or bemused by the endless poring over metrics; the insane attention to policies and documentation, the crazy health and safety finger wagging; the endless worrying over details, individuals, results, testing. It took me three years to learn to speak school governor language. The true linguists are in the Standards Committee, I’m a few years off that yet. Nothing prepares you as an outsider from a commercial world for the intricacies and approach required to be a school governor. But still the question, why? If you are contemplating being a governor and wonder how this can be possible, read the long explanation of each of these points below. What I get from being a school governor. First of all, I genuinely believe in working for the good of our society and my local community. Civic values. I used to be embarrassed to admit it, but now I know it’s just part of my personality. I get pleasure from helping other people, feeling involved, an insider. There are worse personal qualities to have. Secondly, I need to be busy to perform at my best. Oh, how that answer would haunt me for years – nine – during my career at the newspaper. Fiona never forgot, or let me forget those fateful words. But to her credit, she employed me and went on to be a great mentor along with Caroline Marland and Carolyn McCall, and I am grateful to them all. It was an exciting time to be in newspaper publishing. As I result of this I do know that I perform best when I have just the right amount of pressure and being a governor provides that time pressure perfectly. Thirdly I learn things that make us better at our jobs. Many of our clients are in education. Schools, universities, colleges, academies, trade bodies, publishers and so on. Because I know what it’s like in a school we can write much more effectively, or develop much more effective campaigns for other schools or organisations that are trying to target them. I’ve seen the waste bin in the school secretaries’ department; I know how busy the teaching staff are and the pressures they face; I’ve been through an Ofsted inspection. Fourth and finally it I hope it brings new business. By seeing the difference good PR and marketing can provide, through the work we deliver pro bono for my school, I hope it will support our own new business pipeline. We have a proud reputation for creativity and effectiveness as a small, boutique PR agency at Twelve PR. I’m especially proud of the long relationships we have with our clients. We value them enormously and are never complacent. We must always be giving them the best possible service but at the same, we must also be looking for new clients too. So I hope that the work we are putting out there for free through being a governor will, one day, bring some new paid business back to us. Check out the wonderful school I am proud to serve: Bloxham C of E Primary School. https://www.twelvepr.co.uk/wp-content/uploads/2018/02/Screen-Shot-2018-07-05-at-09.10.44.png 717 1131 Nicky https://www.twelvepr.co.uk/wp-content/uploads/2017/05/logo-300x88.png Nicky2018-02-16 16:33:182018-07-05 09:14:39Why would anyone want to be a school governor?